In what seems to be one of the fastest growing gaming genres around, THQ announced this morning that they’ve teamed up with the trainers from the hit TV show “The Biggest Loser”, Bob Harper and Jillian Michaels to bring you a personalized nutrition and workout program for the Nintendo Wii and DS. The game pits users in 4, 8 and 12 week programs against previous contestants of the TV show in a series of structured routines to find out just who is the biggest loser. “The Biggest Loser” drops into retail stores this fall. AGOURA HILLS, Calif.–(BUSINESS WIRE)–May. 28, 2009– THQ Inc. (NASDAQ: THQI) today announced that The Biggest Loser interactive health and fitness video game is currently in development exclusively for Wii™ and Nintendo DS™ and is scheduled for release this fall. The Biggest Loser video game is based on the highly rated NBC television show and will feature the expertise of trainers Bob Harper and Jillian Michaels who will provide comprehensive workouts and nutrition goals to help players transform their lives through diet and exercise. The video game will also include Alison Sweeney, host of The Biggest Loser TV show. 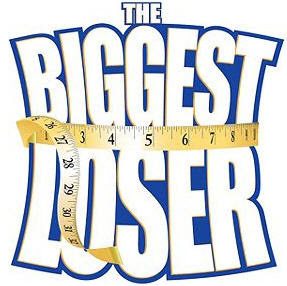 The Biggest Loser video game is being developed and released through a license agreement with NBC Universal Television, DVD, Music and Consumer Products Group and Reveille LLC.